Opened 1892. The building contains the main stage (640 seats) and the "Barn Theatre" (up to 150 seats). 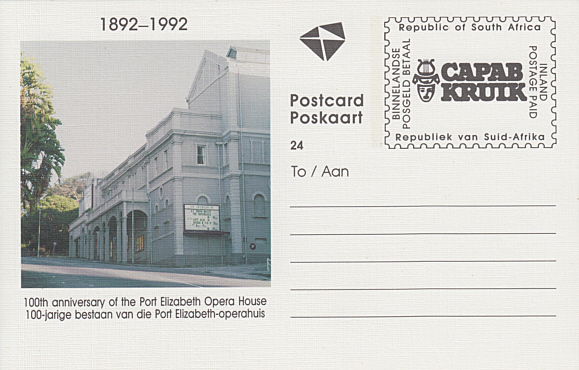 Front Text: "1892-1992", "100th anniversary of the Port Elizabeth Opera House. 100-jarige bestaan van die Port Elizabeth-operahuis"